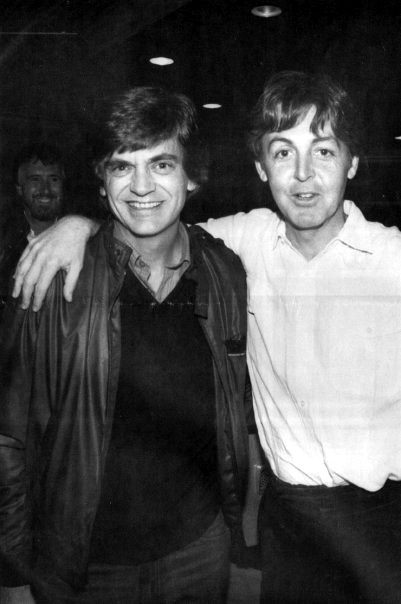 Don and Phil Everly didn’t invent vocal harmony. They didn’t even invent the front-porch tight-harmony male duo (the Louvins and other brothers had done that). But they did do just about everything else. Younger brother, higher-voiced Phil (1939-2014) passed this week, and we’d better get used to it. Dion is still going strong at 74, but Little Richard is 82 and Chuck Berry 82, so I guess it’s pretty clear where lies the future of 1950s Rock and Roll. If you’re interested in The Everly Brothers, you’ve already read about their country upbringing, their early success, their subsequent breakups and reconciliations. Regarding their musical legacy, everyone from John and Paul to Paul and Art have been frank about crediting Don and Phil with marrying those Kaintuck diatonic thirds to the Rhythm and Blues backbeat and helping forge not only what we knew as Rock and Roll. Their influence weighed strong in second-generation Rock, from ‘Please, Please Me’ onwards. 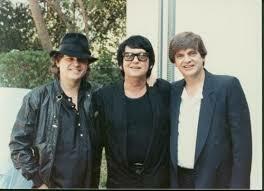 Some writers have been calling The Everly Brothers auteurs, attributing to them a coherent, identifiable world view. I don’t think so. Chuck Berry was an auteur. 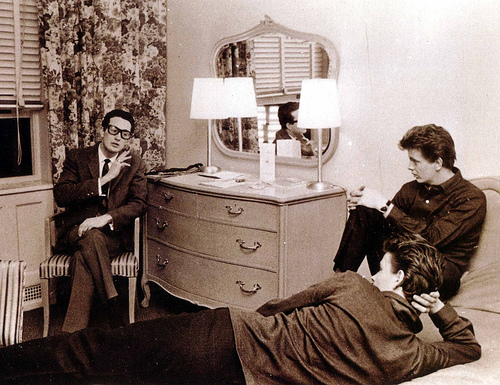 Roy Orbison was an auteur. But they were quite the exceptions. The Everlies, Elvis Presley, Jerry Lee Lewis, Little Richard, even Buddy Holly (for whom Phil was a pall bearer) – each developed their own unique musical style, but I’d be hard-pressed to trace any real philosophy underlying the corpus of any of them. 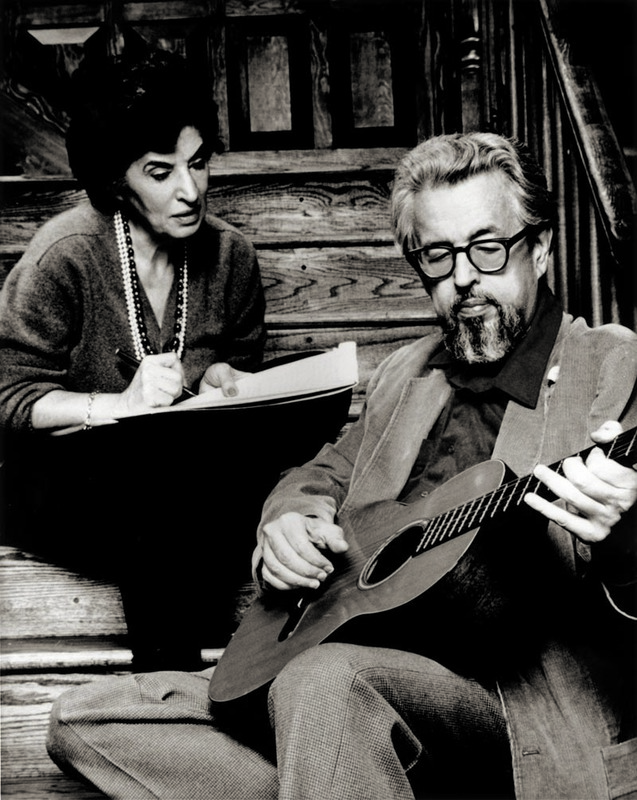 Carol King and Gerry Goffin, Barry Weil and Cynthia Mann, Burt Bachrach and Hal David, Holland-Dozier-Holland, Smokey Robinson, even Phil Spector–they were hit-makers, nary a waft of vision among them. But we know, you and I, that R&R was really all about 3-minute treasures. The Everlies themselves played a central role in the Golden Age of jukebox fury, with their crazy run of 15 Top 10 hits from 1957 to 1962 (in chronological order): ‘Bye, Bye Love’, ‘Wake Up, Little Suzie’, ‘All I Have to Do Is Dream’, ‘Bird Dog‘, ‘Devoted to You‘, ‘Problems‘, ‘(Till) I Kissed You‘, ‘Let It Be Me‘, ‘Cathy’s Clown‘, ‘When Will I Be Loved‘, ‘So Sad‘, ‘Walk Right Back‘, ‘Ebony Eyes‘, ‘Crying In the Rain‘, and ‘That’s Old Fashioned‘. It can well be argued that an auteur in a pop music context had to write his own material. Hence the evolution into distinct voices of Lennon-McCartney (followed by Jagger-Richards, Ray Davies, Pete Townsend and others), and later the appearance of Bob Dylan and the emergence of the singer-songwriter. The Everly Brothers actually did themselves write a few of their hits: ‘(Till) I Kissed You’ (Don), ‘Cathy’s Clown’ (Don and Phil), and ‘When Will I Be Loved’ (Phil). 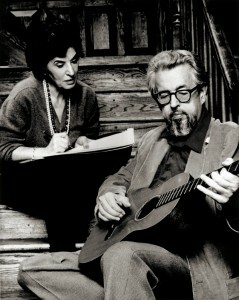 But the majority of their hits were supplied for them by the husband and wife team Felice (1925–2003) and Boudleaux Bryant (1920–1987). All they had to do was dream. Boudleaux was a classical violinist from Georgia more interested in fiddling than in fugues. In 1945, he was playing the Sherwood Hotel in Milwaukee, Wisconsin with Hank Penny and his Radio Cowboys. While imbibing at the lobby’s water fountain, Matilda, the 19-year old elevator girl of the hotel, rushed up to him, pushing him into the stream of water and drenching his shirt, telling him that she had seen his face in a dream she had when she was eight years old, and had been looking for him ever since. In apology, she offered to buy him a drink. 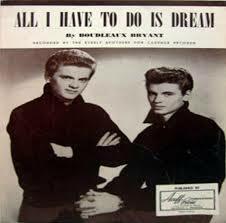 Boudleaux accepted, renamed her Felice, married her, wrote an autobiographical account of their meeting called ‘All I Have to Do Is Dream’, and another 22 hits for The Everly Brothers, including ‘Bye Bye, Love’, ‘Wake Up, Little Susie’, ‘All I Have to Do Is Dream’, ‘Problems’, ‘Poor Jenny’, ‘Take a Message To Mary’, ‘Bird Dog’, ‘Like Strangers’, ‘Devoted to You’, and ‘Love Hurts’. They also wrote ‘Raining in My Heart’ for Buddy Holly, ‘Betty the Heifer’ for Little Jimmy Dickens, and ‘I Dreamed of a Wedding’ for themselves. Which one do we pick for our Song of The Week to honor Boudleaux and Felice, all those 1352 guitar pickers from Nashville, all the tight-harmony singers, and most of all Don and his late brother Phil? That bizarre, finger-baffling (believe me, I’ve tried) light-hearted treatment of a pupil making a pass at his teacher, ‘Bird Dog’? Marilyn Monroe listening to ‘All I Have to Do Is Dream’. Oh, what the heck, let’s just stick with good old ‘All I Have to Do Is Dream’. Should we go for a cover? Bob Dylan and George Harrison? Keith Richards? Husband and wife Edie Brickell and Paul Simon? REM? Marilyn Monroe (she’s not singing, but supposedly had the song playing during the photo shoot; and she did pose a lot better than she sang)? How about this fine Live version by the Everlies? Or simply a karaoke version so you can sing it yourself for the 100th time in your life? Nah. Here it is, Song of The Week, Don and Phil Everly, the orginal original ‘All I Have to Do Is Dream’. It’s true, you know? Think of her. Sing along. And she’s right there in your arms. All you have to do is dream. Hey! Does that mean that if I dream of Marilyn…? Great column, Jeff! Thanks for the background on the Bryant’s. What a string of hits they wrote! 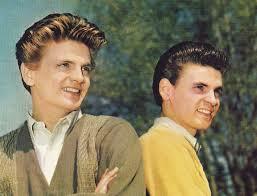 And the Everly Brothers were the perfect artists for their songs. You mentioned all of my favorite rock and roll pioneers except one, who is still alive and must not be forgotten: Fats Domino. I very much enjoyed this, as always! Good article. Lots of stuff I didn’t know here esp about the Bryants. I think Nazareth has the best version of Love Hurts. That’s the first one I heard.